This annual three-day institute provides intensive training in the planning and implementation of public oral history projects. The curriculum includes sessions on conceptualizing projects, the ethics of public research, framing interview questions, interview techniques, transcribing, archiving, and the use of technology. Sessions are taught by oral historians representing a variety of fields with extensive experience in public oral history projects. Cosponsored by the Ohio Humanities Council, the institute draws local historians, librarians, teachers, and other community groups from across the country. Knox County, Ohio has been home to Black residents from the earliest days of settlement of the region by non-indigenous persons. As a consequence of their small numbers, the history of Black folks of the area was largely over-looked, if not outright ignored, by the mainstream press, academicians, and local historians. Although living and working closely with their White neighbors, the Black community, forced by custom and convention and inspired by other "colored" people living in communities both large and small, built parallel, albeit segregated, institutions to meet their social, economic, and spiritual needs. This oral history project and exhibit pays tribute to two outstanding African-American folk artists with roots in Mount Vernon, Ohio: Walter O. Mayo (1878-1970) and his son, Walter L. “Bud” Mayo (1908-2000). Kenyon students Margaret Tazewell (’03) and Jessica Philips (’04) conducted interviews with family and community members, traced and documented artworks in the community, and mounted an exhibit and public conversation at Kenyon’s Olin Gallery in January 2002. 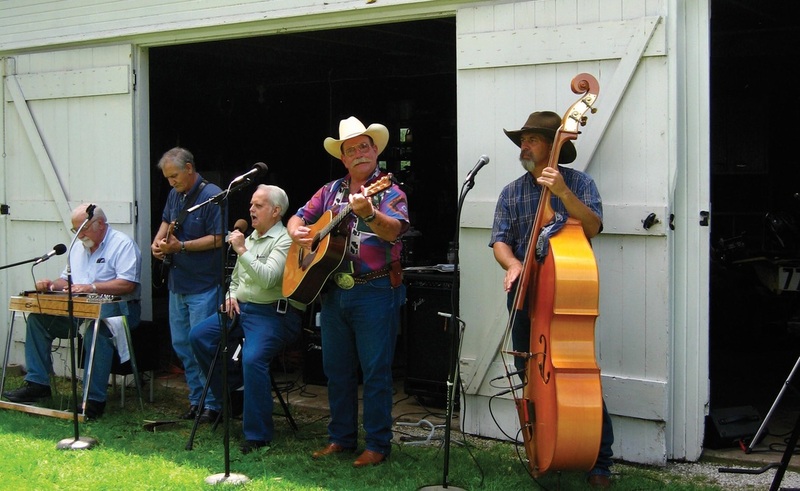 This fieldwork project documents the rich folk music traditions to be found in Knox County. Kenyon student Todd Juengling (’01) conducted interviews and field recordings at church services, barn jams, square dances, and in homes. The compact disc recording and accompanying booklet resulting from his work explores this diverse music and its importance to community life. This web site explores ideas about holistic health care and its place in Knox County. Kenyon Student Jessica Carney ('01) conducted interviews with alternative practitioners, allopathic practitioners, health officials, and people for whom holistic health care is a way of life. What draws patients to alternative practitioners? How do alternative practitioners and the biomedical community view one another and interact? This tour guide of sites along Knox County's Kokosing River explores our relationship to nature and rural community identity. The guide includes thirteen five-minute audio programs featuring excerpts of interviews with residents about the sites and a forty-page booklet with photographs and additional historical materials. Topics include village and town history, Amish community, agriculture, floods, recreation, immigration, the economy, geological history, wildlife, greenspace preservation, and urban sprawl. Copies are available beginning May 2000 for $12 from the Rural Life Center. This project received the Ohio Association of Historical Societies and Museums Educational Excellence Award. This three-week summer field school at Kenyon College provided training in fieldwork methods, archiving, and planning public projects. Cosponsored by the RLC and the American Folklife Center, and the Library of Congress, the school combined intensive classroom instruction and field research as part of an ongoing research project on life along the Kokosing, recently designated as an Ohio Scenic River. Participants included graduate students in folklore, rural sociology, anthropology, and American studies as well as librarians, museum personnel, and local historians. This web site explores rural diversity through a series of essays about minority communities, based on extensive interviews and historical research. Essays explore African American, Amish, Belgian, Catholic, gay and lesbian, Irish, Jewish, Latino, Mormon, and Native American Life, as well as women on public assistance and the relationship between diversity and ideas about community. This free-standing museum-style exhibit explores two centuries of rural African American life through photographs, interviews with Black residents, and other historical materials. Themes include family life, work, religion, social life, and migration. The exhibit is on permanent display in Knox County Historical Society Museum, located in nearby Mt. Vernon (call 740.393.5247 for hours of operation). This exhibit received The American Association of State and Local History Award, as well as The Ohio Association of Historical Societies and Museums Outstanding Audiovisual Project Award.